Words have the power to evoke powerful emotions, spark our imagination and ignite memories. It is no wonder that now, more than ever, designers are incorporatingwords into their designs using typography. 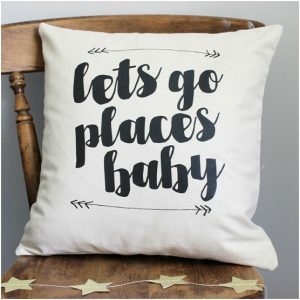 If you look around any home interiors store you will find art, soft furnishings and other decorative pieces featuring typography, and let’s not forget how fashion uses words to raise awareness and support causes. Typography is very trendy at the moment, but where other trends may become dated, typography is timeless, and is therefore something you can treasure for many years to come. Typography has a real romantic heritage; as an art form, it dates back as far as the 1400s. There is no doubt that, visually, it offersa captivating way to display information and can set a very specific tone. 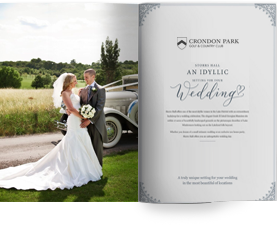 We are increasingly seeing simplistic wedding stationery designs at Crondon Park Wedding Venue, and just because your invitations are more minimalist,we can certainly assure you that they are anything but boring. In fact, using typography can set the scene for your wedding with ease. Each font creates a specific style, which will give your guests a taste of what is to come. For example, an elegant font on a marble patterned invitation will give a luxurious feel, whereas a watercolour style is more relaxed, and calls to mind the outdoors. Using the same typography throughout your wedding helps to create a harmonious theme,just like a choice of colour palette can. When it comes to using typography on your invitations, you can keep it very simple or be a bit bolder. We love the minimalist trend, which sees the typography bring the style whilst keeping the invitation plain,either coloured or white. Other minimalist invitation designs use unassuming patterns and backgrounds to enhance the font, creating a beautiful, cohesive, and expressive design. By using typography you will be able to create an invitation that exudes both of your personalities, as well as your theme and atmosphere, simply by choosing the right font. There is something so refined about a piece of stationery on which gorgeous lettering is the focus. You may think that selecting your typography is easy, but with so many fonts to choose from where do you start? You could look at a whimsical calligraphy, or add texture and elegance with letterpress, or perhaps you might favour a more handwritten inspired style, a classic font or even one reminiscent of an old typewriter. 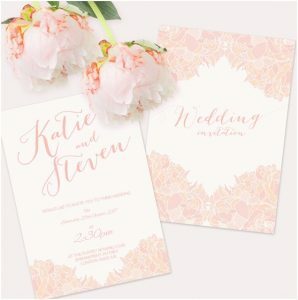 If you are thinking of creating your own invitations there are a large number of free, downloadable fonts online – remember to keep your theme in mind when you are choosing fonts. There are a number of beautiful wedding invitation designers who specialise in typography; have a look at their gallery of work to find one that suits the style you’re looking for. 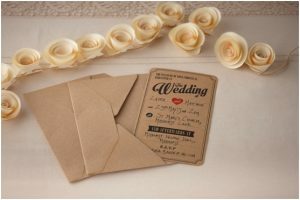 When you’re looking to send out your wedding invitations, don’t underestimate the power of stationery simplicity.